The Green Truth About Production Print | EBP Inc.
Printing of all kinds often falls under fire for being environmentally unfriendly, and the truth is that, in the past, printers haven't exactly been Mother Nature's best friend--but modern production print is making it possible to change that. 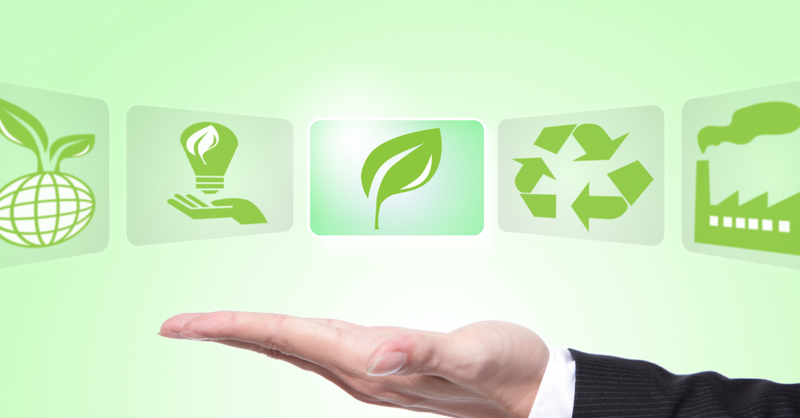 Here's a quick look at how production print can actually be a green choice for your business! Although businesses of all shapes and sizes are working hard to go green and protect the environment, there's still a lot of confusion surrounding the printer. Are modern machines more environmentally friendly than their older counterparts? Is it better to view documents digitally (whether by email, on a mobile device, or burned onto a CD) than to print them? The truth is that every decision has pros and cons for Mother Earth--for example, carbon dioxide is created by using technology the same way it's created by printing a document. The good news is that, with production print, it's easier than ever to find a happy compromise. What's so green about production print? Here's a quick look! Having an in-house production printer means that you can control how much ink, paper, and energy you use at any given time. Sure, you're still printing--but you're doing it the smart way rather than wasting resources. Production print is famous for giving you all kinds of printing options. You can create everything from vehicle wraps to professional brochures--but those aren't your only choices. You're also in charge of where you get your consumables and what they're made of--for example, vegetable-based instead of chemical-based inks. Since production print makes it easy to be as creative as possible in everything you do, it makes sense that you can use it to find efficient ways to recycle, too. You can get the community involved, partner with a charity, or even just recycle your own print cartridges. Mother Nature will appreciate it! Want to learn more about the environmental facts on production printing? Contact us today!